“Ships, Clocks & Stars: The Quest for Longitude,” a visually stunning exhibition from the National Maritime Museum in London, told the extraordinary story of the race to determine longitude at sea. Spurred on by the promise of rich rewards, astronomers, philosophers, and artisans–including John Harrison and his innovative timekeepers–finally solved one of the greatest technical challenges of the 18th century. The award-winning exhibition drew on the latest research to shed new light on the history of longitude – one of the great achievements of the Georgian age – and how it changed our understanding of the world. “Ships, Clocks & Stars” was on exhibit in the renovated R.J. Schaefer Building from September 19, 2015 to March 28, 2016. Mystic Seaport was one of only four sites worldwide selected for the honor of presenting the exhibit. Harrison’s H4 Chronometer. Image courtesy National Maritime Museum. For centuries, longitude (east-west position) was a matter of life and death at sea. Ships that went off course had no way to re-discover their longitude. With no known location, they might smash into underwater obstacles or be forever lost at sea. Passed by the British government in July 1714, the Longitude Act aimed to solve the problem of determining a ship’s longitude at sea. For a maritime nation such as Britain, investment in long distance trade, outposts, and settlements overseas made the ability to determine a ship’s accurate longitude increasingly important. As different nations, including Spain, the Netherlands and France, sought to dominate the world’s oceans, each offered financial rewards for solving the longitude problem. But it was in Britain that the approach paid off. With life-changing sums of money on offer, the challenge became the talk of London’s 18th-century coffee houses and captured the imaginations and talents of astronomers, skilled artisans, politicians, seamen, and satirists; many of whom came up with ingenious methods and instruments designed to scoop the Board of Longitude’s tantalizing rewards and transform seafaring navigation forever. In recent years, John Harrison has been cast as the hero of the story, not least in Dava Sobel’s seminal work Longitude:The True Story of a Lone Genius Who Solved the Greatest Scientific Problem of His Time. “Ships, Clocks & Stars” provides a new perspective on this famous tale. While John Harrison makes a good story and his marine sea-watch was vital to finally solving the problem of longitude, this was against a backdrop of almost unprecedented collaboration and investment. Famous names such as Galileo, Isaac Newton, James Cook, and William Bligh all feature in this fascinating and complex history. 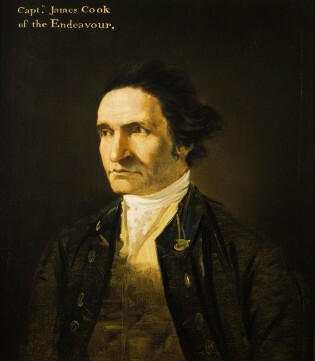 Crucially, it was Astronomer Royal Nevil Maskelyne’s observations at the Royal Observatory in Greenwich and his work on the “Nautical Almanac” and the Board of Longitude that demonstrated the complementary nature of astronomical and timekeeper methods, ultimately leading to the successful determination of longitude at sea. 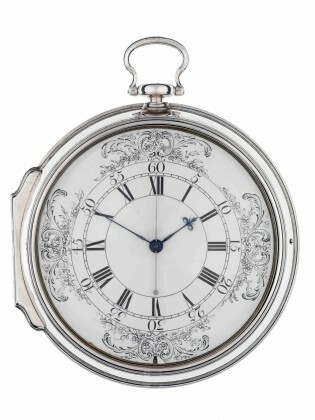 Highlights from the exhibition’s 148 artifacts and art objects include three working replicas of Harrison’s H1, H2, and H3 timekeepers, and the original case of the successful H4. Also featured is the original Longitude Act of 1714; an intricate 1747 model of the Centurion, the ship which carried out the first proper sea trial of Harrison’s H1, and the elegant, padded silk ‘observing suit’ worn by Nevil Maskelyne at the Royal Observatory during the 1760s. A working replica of Harrison’s H3 timekeeper. The Royal Observatory in Greenwich was founded in 1675 specifically to carry out observations “to find out the so much desired longitude of places for the perfecting of the art of navigation.” Under the 1714 Longitude Act, successive Astronomers Royal became leading voices on the Board of Longitude, judging proposals and encouraging promising developments. As solutions were developed, the Royal Observatory also became a testing site for marine timekeepers and the place at which the astronomical observations needed for navigational tables were made. The significance of this work eventually led to Greenwich becoming the home of the world’s Prime Meridian in 1884. “Ships, Clocks & Stars” integrated relevant elements at Mystic Seaport to create a participatory encounter for visitors of all ages, including shows and demonstrations in the Treworgy Planetarium and the village’s Nautical Instruments Shop.